In this small video you can see why our working light bracket is the most efficient way to fit your LED light’s. Normally, your LED light has restricted movement because it is fitted directly to the back panel with it’s own bracket. This only allows for an up or downward motion. If you would want the LED light to give some light more to the left or right it is not possible, unless you change the position of the whole light. With this 3 mm aluminium working light bracket, you do not have this problem. It is powder coated in black to give it protection from the elements. It is fitted with 4 bolts to your Land Rover panel and then it is ready to receive the LED light. Different size LED lights can be fitted on this working light bracket. The benefit of this bracket is the freedom of motion you can experience with your LED light. Besides moving the LED light up and down, you can also move it almost 180° from left to right (depending on the size of the LED light). 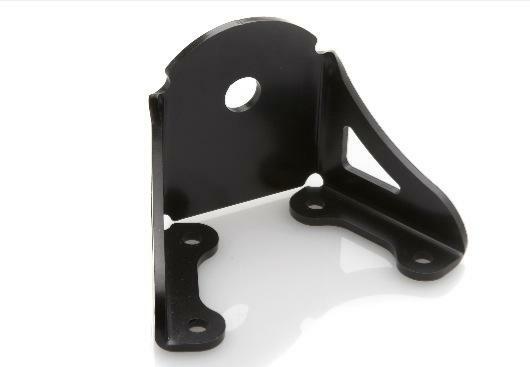 Besides the Land Rovers, this working light bracket can also be fitted to other 4×4 cars, such as Jeeps.